You must try this! Santa Claus and his amazing PNP (Portable North Pole) console will be online during the entire holiday season. With just a few clicks, this technological marvel will let your loved ones receive a personalized message from Santa Claus himself, sent directly from his village in the North Pole. It is not only very cute, but FREE. Give it a try, I tested this last year and must say it was a fun little video message that Oliver received from Santa. Help Santa out and be sure that he gets cookies at every stop. Share this jar with your friends and neighbors. Make It Do will show you how to craft the cheery covered jar and Bakerellahas the recipe with the ingredients to fill the jar. Rudolph the Red Nose Reindeer will light the way for Santa. 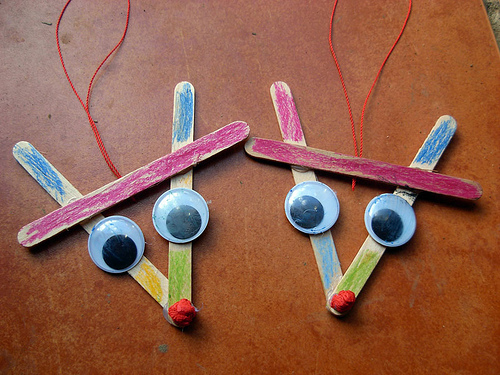 Popsicle sticks and googly eyes are a make together project for you and your little ones, for your tree or gift away. Expat Mom has the steps, one, two, three. Doo doo you really want a baby doll that poos? While I’m not sure that I was ready for this one, they doo doo seem to be all the rage. There were the days when advertisements between Saturday morning cartoon shows enticed us with the latest and greatest new toys, the ones that we just had to have. Anyone remember those mornings filled with animation, ads for toys and breakfast cereals of extra high sugar content? Trix is for kids! It was not a Saturday morning, but rather a late evening on Twitter when Tara Gerner-Ziegmont introduced me to this “functional” doll named Whoopsie Doo. This time it was a toy doll that I did not want to have. 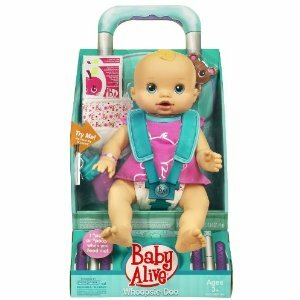 The Baby Alive Whoopsie Doo is an adorable, life-like doll that cries and kicks when she needs a change and wiggles and coos when she’s happy. The doll’s life-like sounds even give your child fair warning of whether she’ll need to get a diaper or a bottle ready for her new baby. Feed her or give her a bottle, and then get ready to change her messy diaper! Designed for children ages three and up, Whoopsie Doo is a fun, interactive baby that will keep your child happily engaged. Best of all there could be piles of soiled diapers, oh joy! Along with Number One, Number Two Dolls and the Breast Feeding Doll, Whoopsie Doo is not available at Totally Kids fun furniture & toys. It’s magic, watch your money disappear, right here! This magic wallet is one that you can craft from a few simple items. 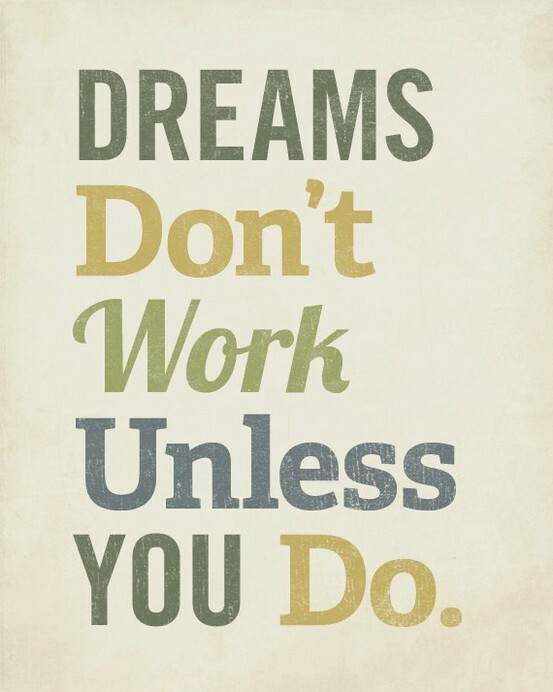 And like most of us have not effortlessly learned how to make our money disappear! If you are looking for a handmade thrifty gift, why not give this magic wallet a try. Your supplies include: cardboard, colored ribbon, sticky tape, scissors, and a ruler. Kate from minieco has an excellent pictorial tutorial to get you started. If you have never seen a magic wallet before,it’s basically a wallet that opens both ways. Put paper money on top of the green cross, close the wallet, and open it again, it will appear underneath the green cross. If you close and open the wallet again it will appear underneath the yellow lines. For even more magic, our Abracadabra Magic Set has even more to add to your bag of tricks. There is a disappearing ball, vanishing coin, magic coin box, cylinder squeeze, secret silks, Egyptian prediction and more. May we suggest another sure to disappear? These Reindeer Pops that we made last year come highly recommended. They are as tasty as they are cute. 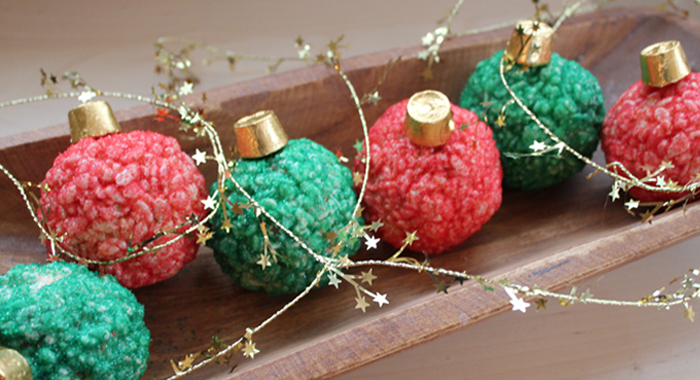 How about whipping up these adorable ornaments with the kids this weekend. They would not make it to a tree at our house. Here is the Recipe for Fun. Melt butter in a large saucepan. Add marshmallows and stir constantly until well-combined. Add vanilla, and stir again. Add the Rice Krispies cereal. Mix until all of the cereal is coated with the marshmallow mixture. Butter your hands well, then and shape the cereal into six balls. Make sure they’re packed tightly. Acting quickly, roll the balls in colored sugar or holiday-colored sprinkles until coated. For the top of the ornament, stick a toothpick into one end of a Rolo candy. The other end of the toothpick long goes into the Rice Krispy ornament. Tags Christmas, cooking with kids, Fun for Kids, Kelloggs rice crispies, recipe, rice krispies, rice krispy ornaments, rice krispy treats. or if you prefer, maybe contain it to an easel. There’s no better way to inspire your young artist, whether it’s on paper, or if you dare, on the wall. Benjamin Moore has a tutorial if you would like a DIY chalkboard wall for your home. 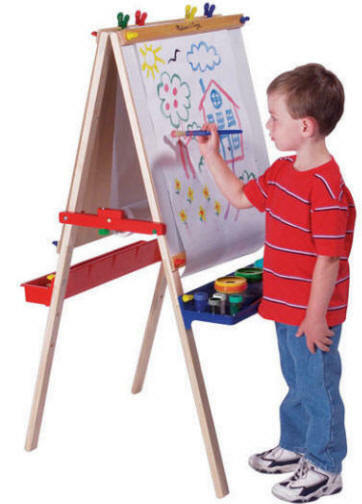 Many folks however like this generously sized easel with a chalk board on one side and a dry erase board on the other side. Either is perfect for art projects large and small. There are clips for attaching a roll of paper when that is medium of choice the day. Drawing and painting can be used to understand what children are feeling. Often times you can learn what is going on in their lives from the colors they choose or things that they draw. It is a great way to spark conversation with young children.